The image above is a water crystal that was exposed to thoughts of love and gratitude and is an image from the website of Dr. Masaru Emoto. If you have ever watched the movie “What the Bleep Do We Know” you are familiar with this concept and Dr. Emoto’s work and research into the mysteries of water. What fascinated him was that when water was held in love or was thanked and talked to like we talk to and encourage plants to grow, the frozen water crystals were beautifully shaped but when they were told they were evil they formed very misshapen crystals that you can see here. This discovery can lead one to wonder what the implications are. In the movie there is a scene where the main character comes upon an exhibition of Dr. Masaru Emoto’s work about water crystals and how our words and intentions influence how the water can form into beautiful or distorted crystals. The scene goes on to comment on how our bodies are mostly water, about 60% and if these thoughts and intentions can influence water then what do our thoughts and intentions about ourselves affect the water in our bodies and our souls. We all know how our self-criticism can affect us mentally and emotionally but also how this affects us down to our core to the level of the water that flows through us and is part of our being. One very healing part in this movie was when the main character was in her bath and was using an eye shadow pencil to write beautiful designs on her body in a very healing way. We could all use taking a moment for loving ourselves as being beautiful being and holding ourselves in love and gratitude. How would it be to have the water in our body forming these beautiful crystals and being beautiful inside and out? Very interesting! I think I know what the next movie I watch will be. I have watched it several times and own the DVD 🙂 it does make you think about allot of things. Also want to see the movie inside out- heard good things about it too. This is a great topic and something I think many women deal with, especially in a society where outward beauty is so heavily focused on. I always make it a point to focus on the inner beauty of others but forget to do this for myself. This post came at just the right time for me. I need to watch this movie! Lisa it talks about so many things- it is great! Glad this stuck a cord with you! Have an awesome day! 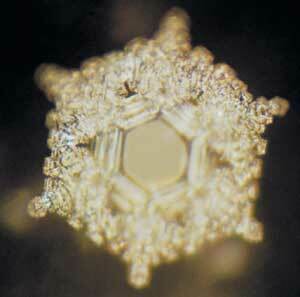 I have been reading one of Emoto book now , and I simply love it! Natalia which one have you been reading? He was a great researcher and so sad that he passed last year. Camille I do also, I need to sit down and watch it again as there is so much in that movie you need to watch it several times. Beautiful blog post! Thank you. When I watched this movie several years ago, I wanted to experiment on water myself. Maybe I will do that this weekend. Thanks. Diana I hope you do its a wonderful way to make space for your Self and recharge- have fun! This is fascinating. There is so much we don’t know. We all need to show love. That is all. I totally agree Donna – showing love not only helps the other person but you also. It is amazing how that energy works. When I worked part-time as a massage therapist after work the energy and care I put onto my client I got back in return and left the room feeling as relaxed and energized if that makes sense as my clients.